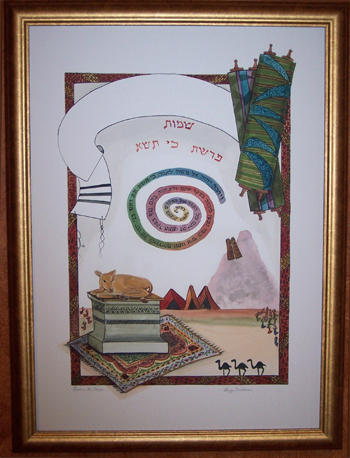 Below is our new illustrated series representing each of the weekly torah portions. 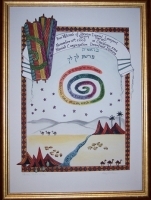 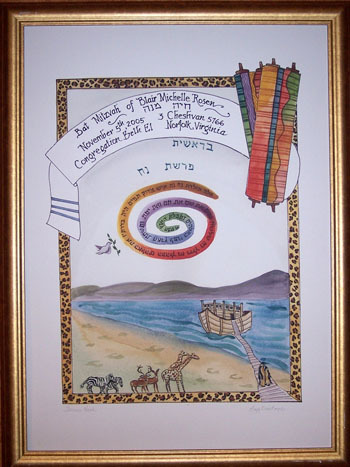 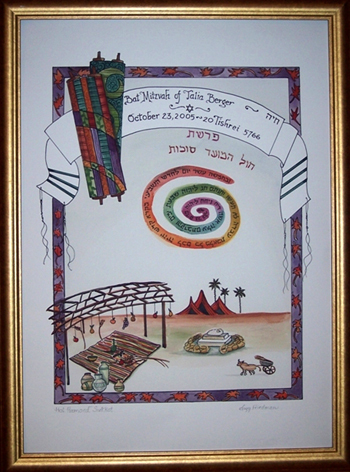 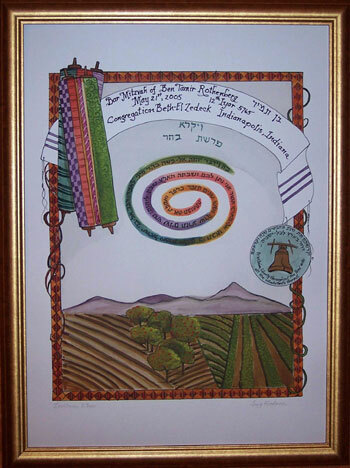 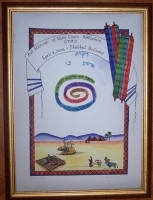 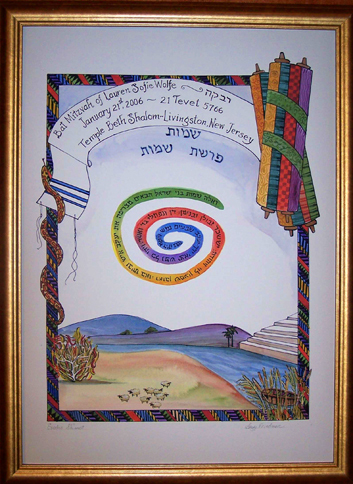 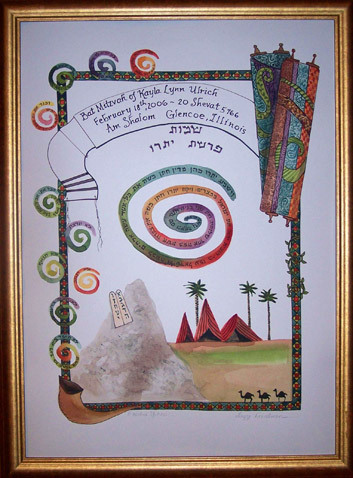 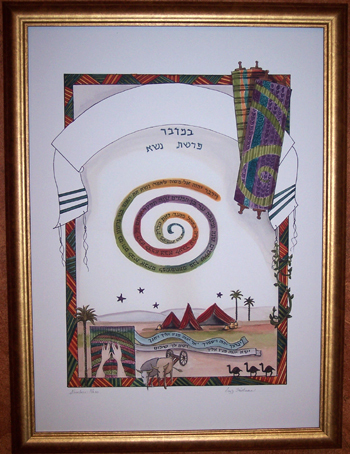 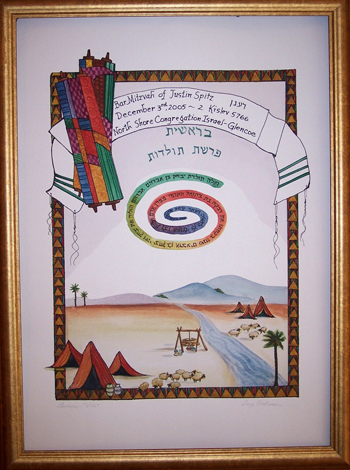 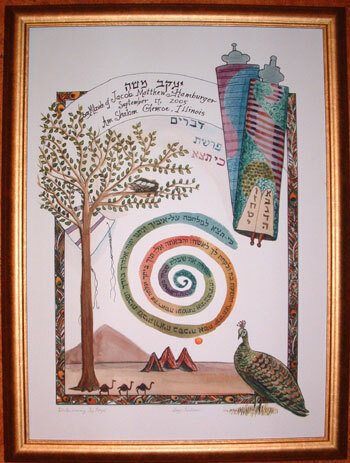 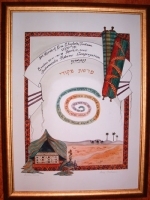 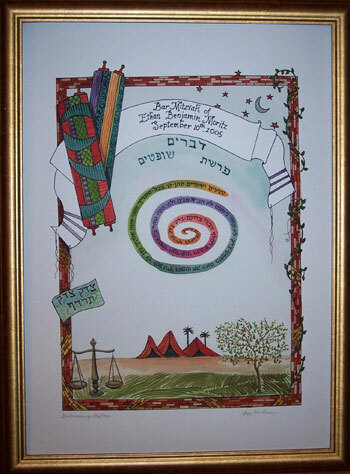 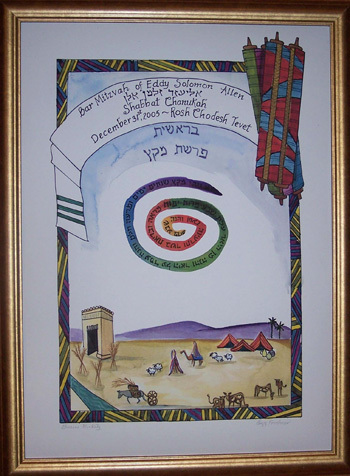 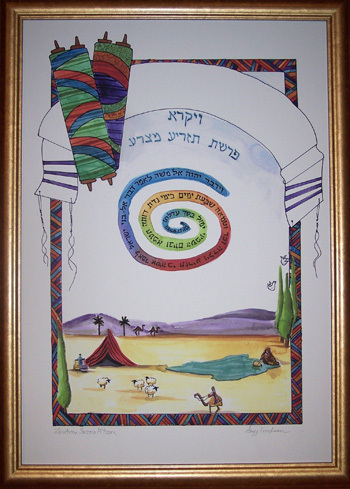 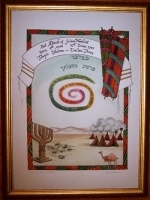 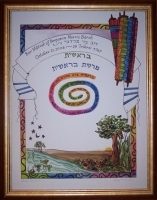 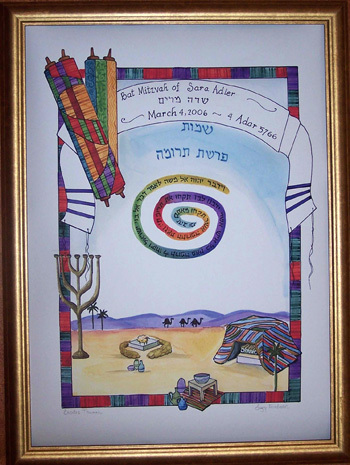 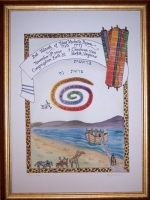 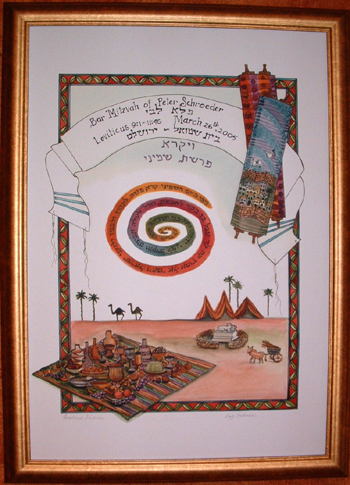 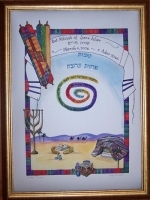 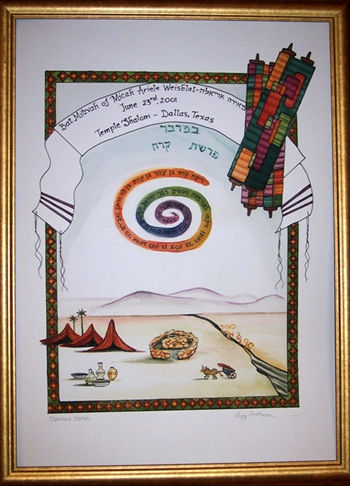 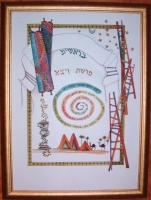 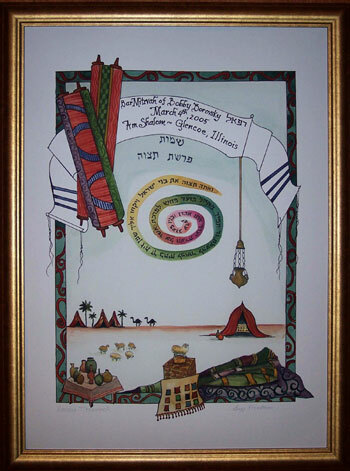 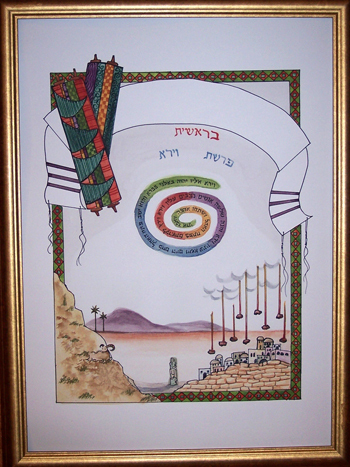 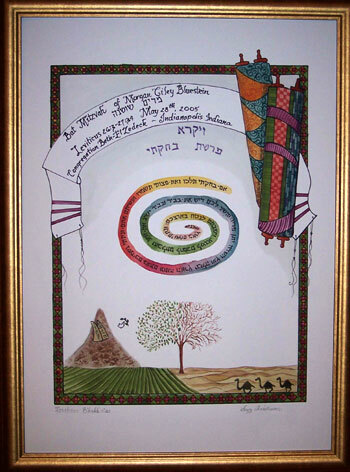 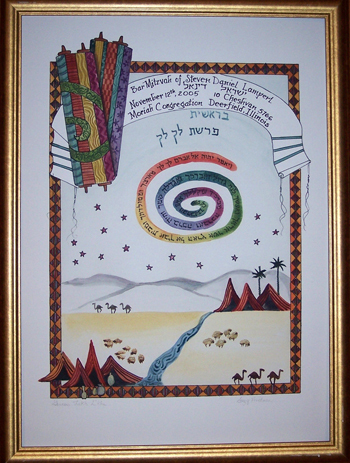 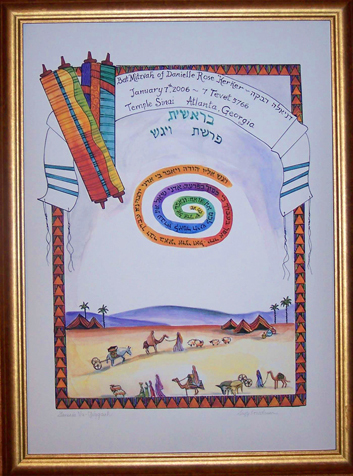 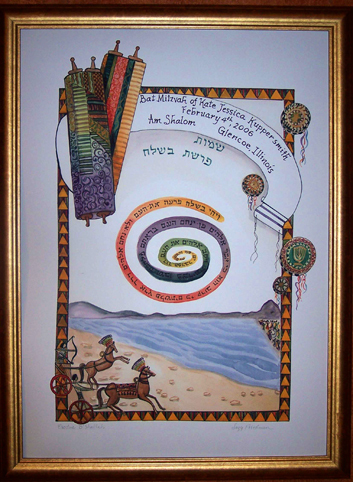 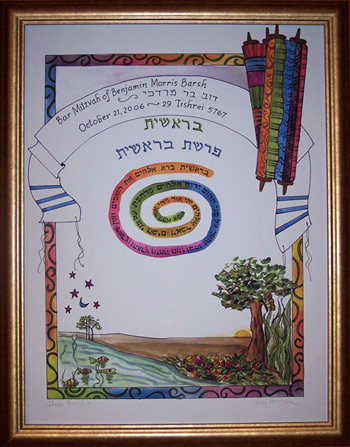 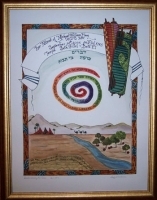 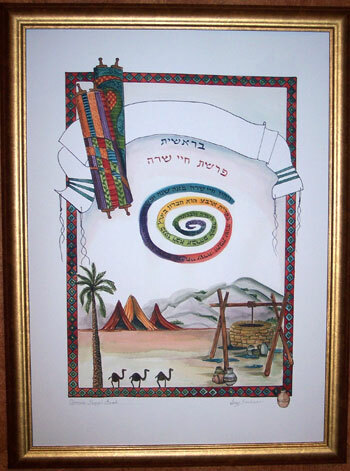 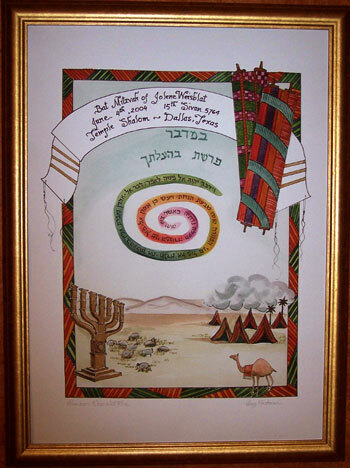 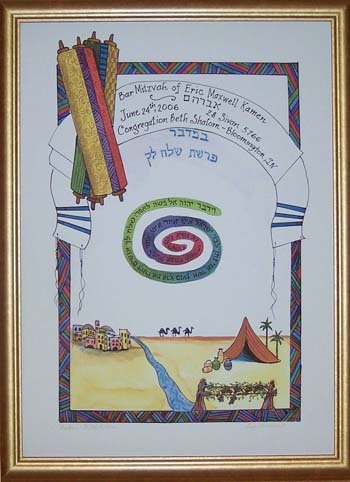 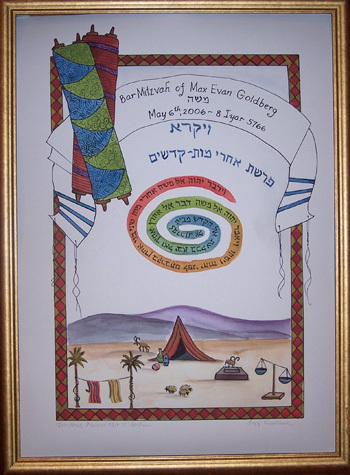 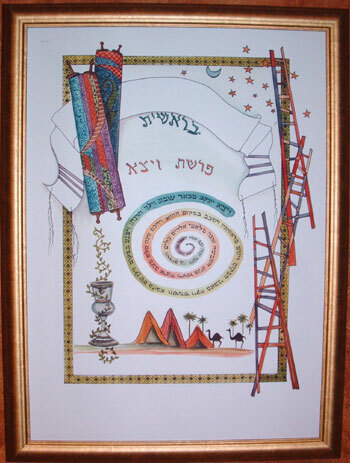 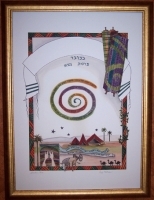 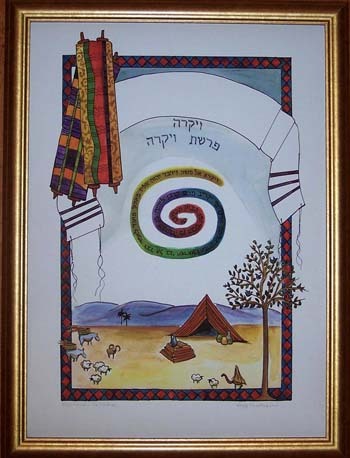 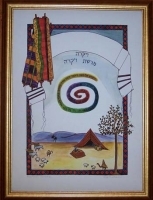 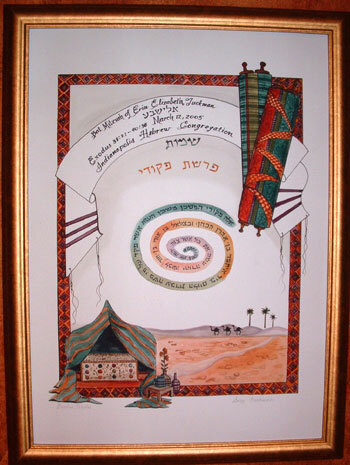 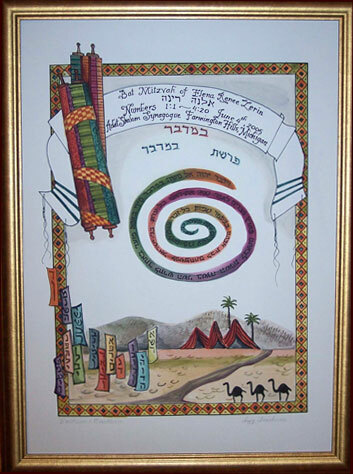 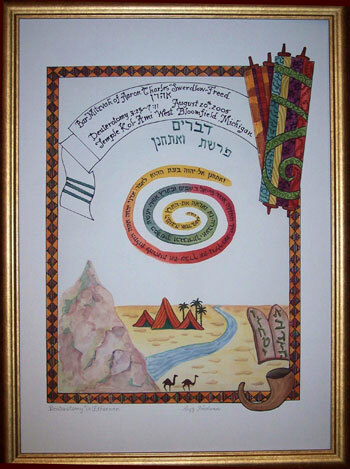 Each giclee print is 16 1/2 by 22 inches framed and personalized with the name (in Hebrew and English) of the bar or bat mitzvah, the date and place of the ceremony. 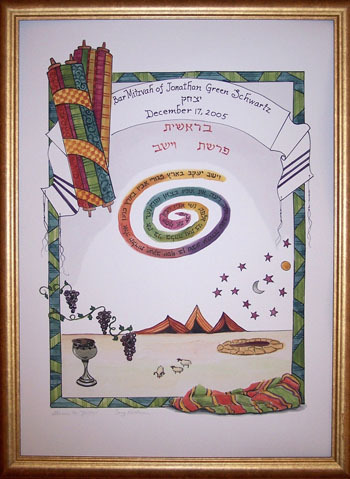 This gift makes a beautiful and meaningful commemoration of a special event.